Several free applications exist to install operating systems on so called virtual machines. This method provides a few benefits, for example the option to reset it whenever it is needed. It provides a great way of accessing operating systems either to test them or to run applications which would not run on the default operating system. Microsoft's Virtual PC 2007 is one of the applications that can be used to run virtual systems on a single computer system. It has been optimized for Microsoft operating systems but can also be used to install and run operating systems from other developers. 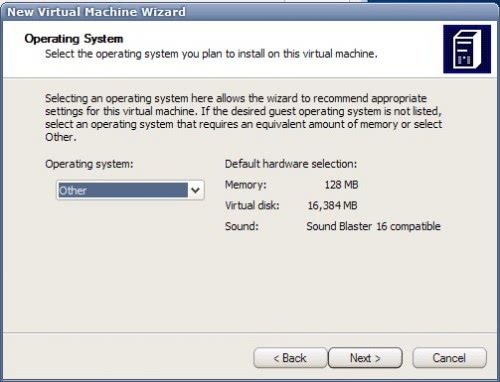 Setting up a virtual machine is actually a very straightforward easy process. Virtual PC 2007 provides the option to create a virtual machine or to add an existing virtual machine from an vmc file which is good for distributing virtual machines to multiple computer systems. Each virtual machine will be stored in an vmc file on the computer's hard drive from where it can be accessed at anytime using Virtual Pc 2007. Most Microsoft operating systems can be selected from a list which would automatically adjust the computer memory, virtual disk size and sound capabilities. Selecting Other is a custom option to define those parameters individually. New operating systems can be installed from CD, DVD or an iso image located on the computer's hard drive or network drive. To boot the virtual machine from CD one would select CD from the top menu of the virtual console and pick the CD / DVD drive that contains the boot image. ISO images can be mounted and booted from as well. The virtual machine will then start the installation of the operating system which might take some time. One important key combination is [CTRL ALT DEL] to get out of the virtual machine's window and be able to access the normal operating system. Each virtual operating system that gets created will be available as long as the vmc file on the hard drive remains. A user could use Windows XP as his standard operating system and use virtual machines for Linux, Windows Vista and Windows 95 on the same system without difficulties.